Well here he is! 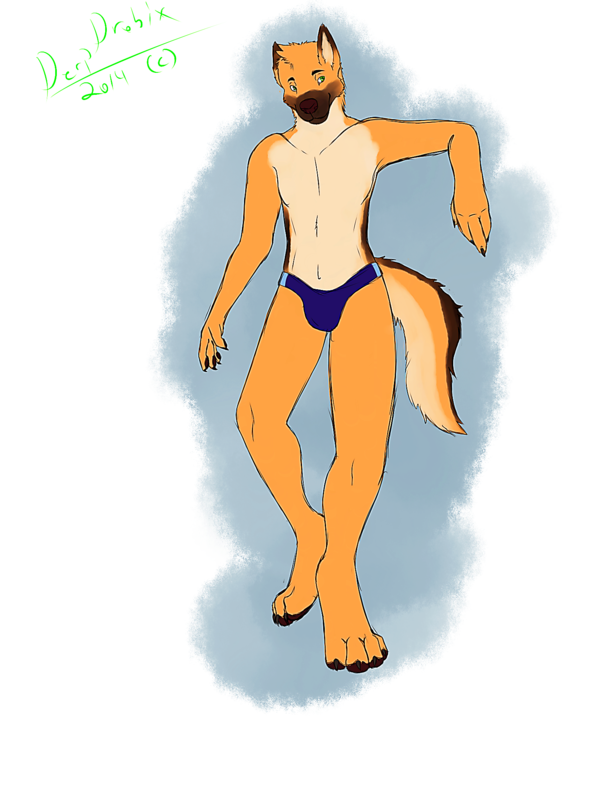 The first pic of my new fursona Max in the one thing he loves to wear more than anything else, his trusted lucky speedos! It was one thing that Max was popular for in high school, being in his speedos which helped him to become on the most attractive dogs along the football hero Danny the Husky. This pic is one that shows him at a bit of a younger age than the age he is now what has been taken as part of a teenage dream boy calender which for Max made him just as popular and admired than what he is now. As good as he looks here at a size of 5ft 9in he seems to look even more amazing and appealing now at such a huge size! , who did this pic for me for $10 and at that price it is worth taking a look see and getting a pic or two yourselves.